The following is a copy of the Rights and Responsibilities that clients will sign when they begin services at CAPS. Welcome to Southern Utah University’s Counseling and Psychological Services (CAPS). Please read the following information carefully and feel free to ask any questions. Eligibility: Students who are currently enrolled at Southern Utah University are eligible for services. Services: During the first Intake appointment, you will meet with a counselor to discuss counseling options which may include individual, group, couples counseling, or a community referral. Due to the volume of demand for services, CAPS offers a maximum of 12 individual counseling sessions and 15 couples sessions to students during the course of your experience here at SUU. Any exceptions will be reviewed on a case-by-case basis by our clinical team. There are no limits for group or biofeedback services. Confidentiality: It is the policy of CAPS that all information discussed with a counselor is confidential. Written, telephone, or personal inquiries about you will not be acknowledged. No information about you can be released to anyone other than you without your written permission. An exception to this policy may arise in situations of child abuse or neglect; abuse or neglect of a vulnerable adult (an elder adult or a physically or mentally impaired adult); or where there is a clear and immediate danger to yourself or others. Please discuss any questions with your counselor. Email is not a secure medium so any correspondence you may have with CAPS or your counselor via e-mail cannot be guaranteed to remain confidential. Respect: The counselor and CAPS respects you and will convey this respect by keeping appointments or contacting you to reschedule if necessary, giving you complete attention during sessions, minimizing interruptions during session, and providing quality counseling. You have the right to receive professional services within your personal belief and value system. You also have the right to participate in developing your individual treatment plan or to request alternative treatment. Participation & Appointments: Your active participation in therapy is necessary in order to make progress. Appointments generally take place once a week. Appointments usually last 50 minutes. Arriving on time will allow you to take full advantage of your session. If you are 15 or more minutes late, you will need to reschedule. *Please turn off cell phones during appointments. CCAPS: The CCAPS is a set of questions designed to help your counselor track your progress in counseling. The CCAPS is first administered when you fill out initial paperwork and again prior to every appointment. Taping: We often tape client sessions at CAPS. This is done primarily to facilitate the supervision of clinicians in training and secondarily as a way for staff to consult with one another. Only professional CAPS personnel are permitted to view taped sessions. Fees: There is no charge for counseling appointments. Please be aware that a $25.00 fee is charged for missed Intake appointments. A $10.00 fee is charged for any other missed appointments. A missed appointment occurs when a student No-shows, cancels with less than 24 hours’ notice or arrives 15 or more minutes late for an appointment. A persistent problem with No-shows, cancellations, or rescheduling that results in three consecutive missed appointments will result in an additional $25.00 fee and may result in limited access to our services, including group and biofeedback, and may be grounds for discontinuing treatment at CAPS. In the event of a fee, a hold will be placed on your university account, which will be visible to other departments. Fees can be paid in cash at CAPS; any other method of payment must be made at the cashier (bring the receipt back to CAPS to release the hold). No-show policy: If you miss a regular appointment without calling in advance, you are responsible to either reschedule or to inform CAPS that you are no longer interested in services. If you do not contact CAPS within 30 days of your last attended appointment, your file will be closed. If you No-show your first Intake appointment, we will understand that you are no longer interested in services and your file will be closed. You are welcome to reinitiate services at any time. Feedback: CAPS is interested in your feedback. If you are not satisfied with counseling, please discuss this with your counselor. 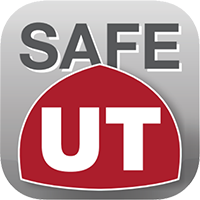 Emergency Services: In an emergency when CAPS is not open, please either call 911 or SUU Campus Police at 586-1911. Please go to the nearest emergency room.